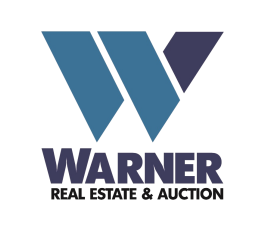 Warner Real Estate & Auction has no upcoming auctions. Welcome to Warner Real Estate & Auction Company. We are a full service New Jersey real estate and auction firm with our corporate headquarters based in Woodstown, New Jersey. We are a licensed real estate broker in New Jersey and Pennsylvania with New Jersey Real Estate listings and auctions of various types of real estate including commercial, investment, residential, farms and land in NJ. Warner Real Estate & Auction's clients include individuals, estates, banks, municipalities, federal governmental agencies and others. Our licensed sales associates have expertise in a variety of types of real estate including commercial, residential, investment, farms and developable land parcels throughout New Jersey. Our focus on honesty and integrity are the essential qualities making us a leader in the New Jersey Real Estate and Auction business."